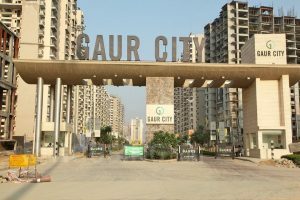 NEW DELHI: NCR-based real estate developer Gaurs Group has announced it has sold 1,012 housing units worth about Rs 400 crore during the festive season starting Navratras (10th October 2018) and ending Diwali (7th November 2018). The realty major has done the record sales in its projects present in Greater Noida West, Siddharth Vihar (Ghaziabad) and Yamuna Expressway. The project names are Gaur city & Gaur Saundaryam in Greater Noida West, Gaurs Siddhartham in Siddharth Vihar (Ghaziabad) and Gaur Yamuna City at Yamuna Expressway. The sales have come following the record sales of over 5000 units during Q1 & Q2 of FY 18-19. The group was also in news recently for delivering over 25,000 units in last 5 years which has garnered immense trust amongst home seekers looking for home in NCR region.